When you want a structural engineering expert for residential or commercial properties, our team can provide detailed structural designs for any aspect of your project. This means when you work with us, we will produce a set of construction drawings that are ready for the tender stage, allowing for the smooth completion of your build. Most importantly, because all projects are driven by their budget, our consulting structural engineers utilise their knowledge of reinforced concrete, structural steel, timber and masonry to guarantee the job is finished in a cost-effective manner. With over 15 years’ experience in the field, we are also able to take on a project management role in order to ensure as much of the workload is taken off your shoulders as possible. Even on the smallest of projects, there are a huge number of factors to be taken into consideration. We will ensure each one of them are kept track of at every step along the way. On top of this complete list of structural engineering services, the team here at Banrach Consulting Engineers are ready to complete surveys and inspections on one-off dwelling houses or existing structures. If you are looking to sell or purchase property, our reports will empower you to recognise defects, structural or otherwise, that might require further examination. Contact a member of our team when you want to work with an experienced structural engineering service and we can get started today. 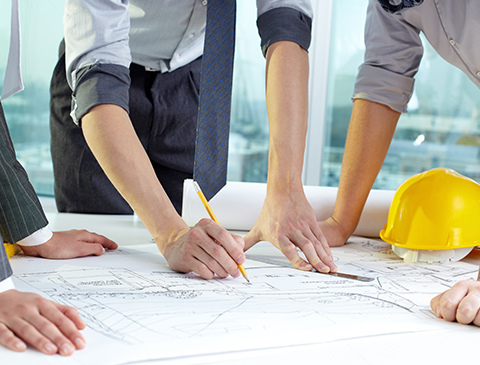 Knowledge of the legislation involved with planning permission is an absolute must for any consulting engineer or project manager you plan to work with. Our team have the experience you need to get the right result. Want to talk about our Structural Engineering services? Phone (01) 969-6373 or send us a message today.